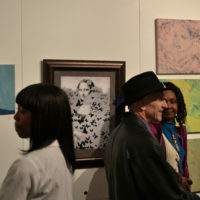 When I first embraced Mona Lisa as an icon for my “Death of an Icon” series in 2012 it was because her face was recognizable no matter where I placed her. 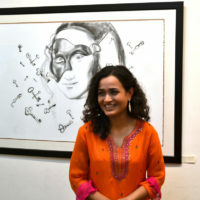 And placed her I did or displaced her as the case may be when I dressed her in a chunni (transparent veil worn on the head) and gave her henna tattoos in the palm of her hands, in the pattern of Louis Vuitton prints and made her posture like Madhubala in the movie, “Mahal”. 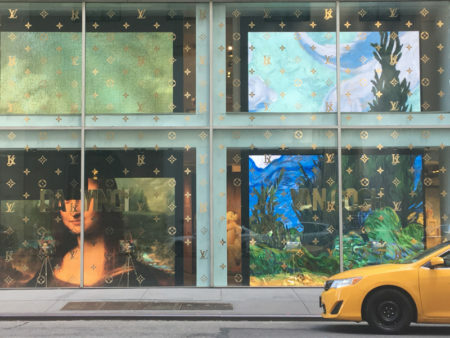 It wasn’t until recently when I found her face slapped on a Louis Vuitton showroom on 5th av with those prints all over her. Suppose the prints belonged to Louis Vuitton to begin with. The oversize Mona looming over 5th av traffic commanded a presence larger than her original counterpart and stirred up a mini outrage in me however unfounded! I thought of putting the two together first, no fair I thought in quiet desperation. 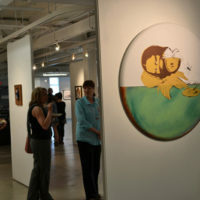 Fine arts is increasingly being used to advertise, the reason? Mona Lisa being among the “Portraits Completed” campaign that brought the award of the “Gold Lion” to Ogilvy Chicago for concept and design. The ad was for Kiwi shoe polish. 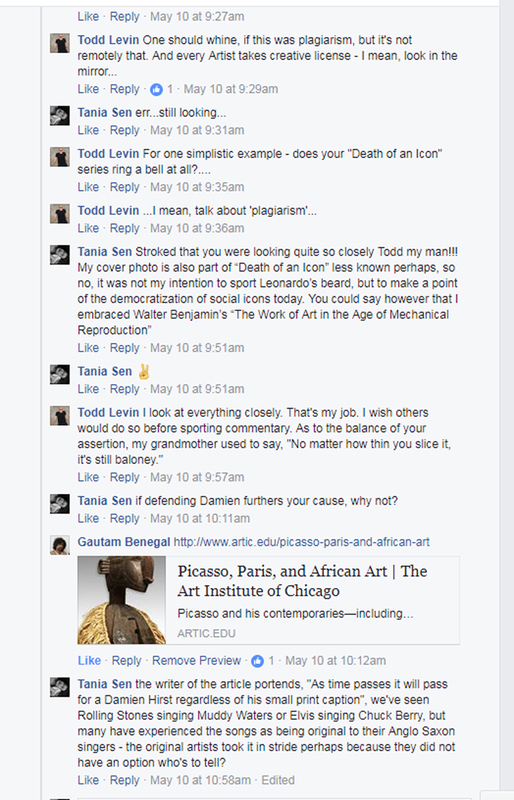 Now here’s the next part of the Facebook conversation:The reason for my sharing this instance is to make a point about the futility of the article not to mention my conversation with Mr. Todd Levin. 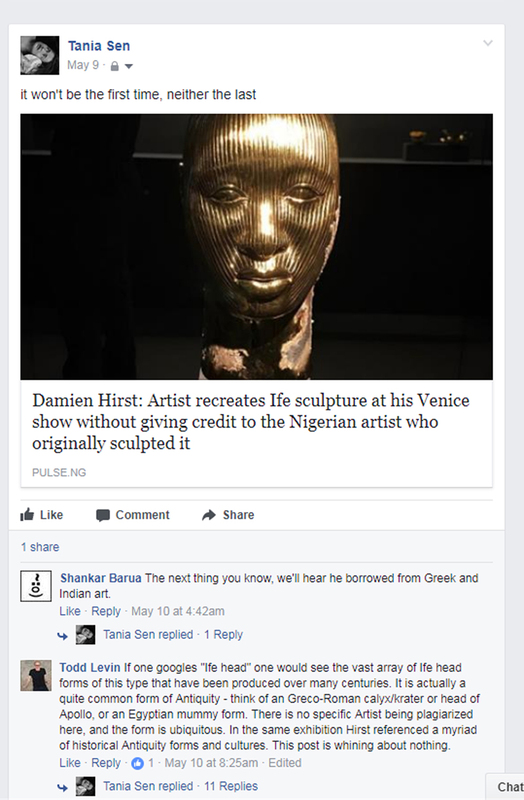 The indisputable truth of the article in the end is quite futile given that, today’s art lover and audience is much more likely to respond to the multiplicity of the shiny mass produced Bronze heads by Mr. Hirst and may choose to remain oblivious about their African original. 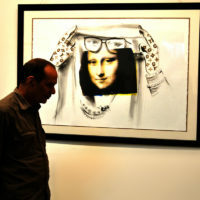 Art is no longer for keeping and cherishing, rather a commodity to be pimped out in the market for a quick turnaround. The impact of the heads would last for as long as social media and the dealers scream about them, and then, they too will succumb to the eventuality of the silence of the masses, swallowed whole by the shadow of the “silent majority”. This ideological terrorism may just be the end of the “social” as pointed out by Jean Baudrillard. Once again, in my conversation with Mr. Levine, I had mentioned how “Death of an Icon” addresses the democratization of social icon from the perspective of mechanical reproduction. As an afterthought, I might go as far as to add that the culture of art “flipping” might in fact lead to the Death of Art itself!